I have heard of The Broad from a few colleagues quite some time ago, but I never looked into it. It was recently when one of them actually posted their trip on YouTube and I found that place intriguing. He said the tickets are free but you need to book it in advance. A month advance that is. There are stand-by lines you can wait in, but it isn't a guarantee that you'll be able to get in and may be standing in line for hours. So let me do you a favor and advise you to get your tickets early. You can reserve up to 9 tickets, so bring your family and friends. We didn't get to visit the Infinity Mirrored Room, but if you are planning to experience it, I would get early tickets in the day. You can only sign up at the location and it usually fills up fast. They also have new artists on display at different times, some amazing shows and workshops so be sure to check out the latest news on their website. There are food trucks outside and you may also visit some food venues within the enclosed area. You may also take a visit to the Grand Central Market nearby and grab a bite. We honestly didn't take too long at the gallery. We expected to be there longer or maybe we just got through the floors pretty quickly. We actually went to visit the Anaheim Packing District for dinner on the way home. Each room is monitored by staff so please keep in mind to not touch the art even as tempting as it may be to you or little ones. Especially when you are taking photos, we tend to lean in a bit closer than we anticipate. Flash photography must be off. I highly recommend a visit to Los Angeles for this amazing, inexpensive experience at The Broad. 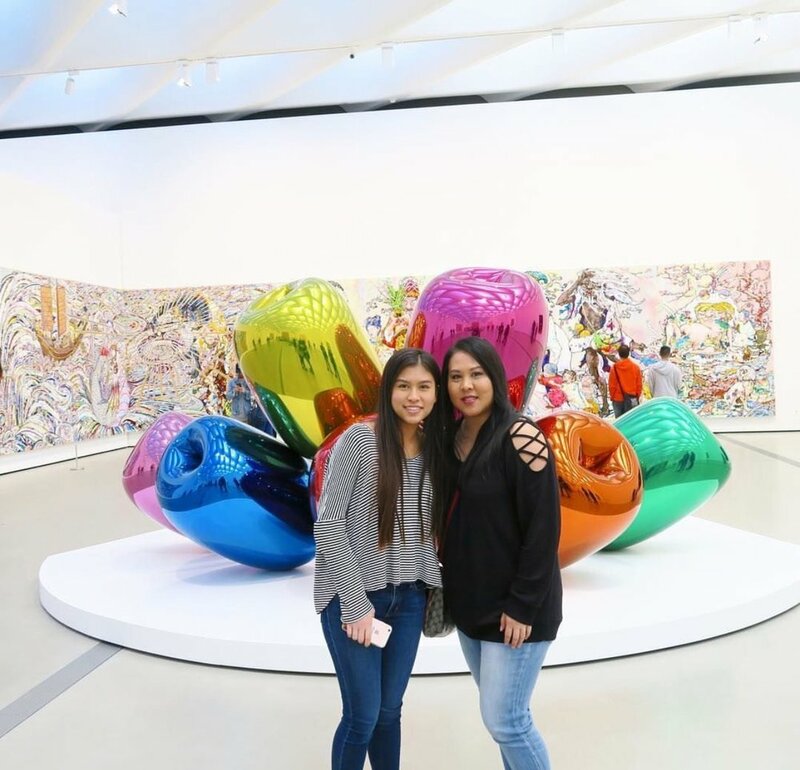 Have you visited The Broad? How was your experience?